UK Archives - Adventure, baby! We weren’t planning to visit Kensington but the concierge at our hotel mentioned they’d just had a big renovation and we thought we’d check it out. It turned out to be the perfect way to squeeze in a bit of history with a preschooler as the palace is a very manageable size, possible to squeeze in all four areas in about an hour (which, co-incidently, is my preschooler’s tolerance level for any activity that isn’t a playground). 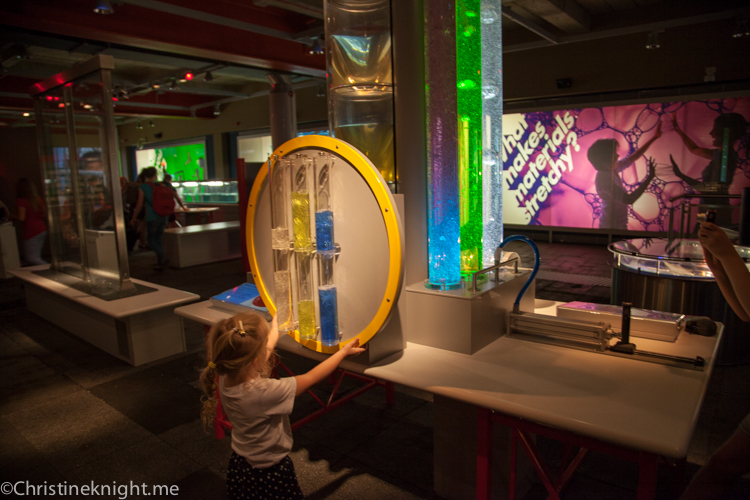 As part of the refurbishment, several of the exhibits were also interactive and a hit with our junior traveler. My particular favorite part was the Victoria Revealed exhibit, where I was about to learn about Queen Victoria’s extraordinary life in her own words. Of particular interest to me was her clothes – I couldn’t believe how tiny they were. I also enjoyed that the exhibit was within the very rooms that Queen Victoria lived. 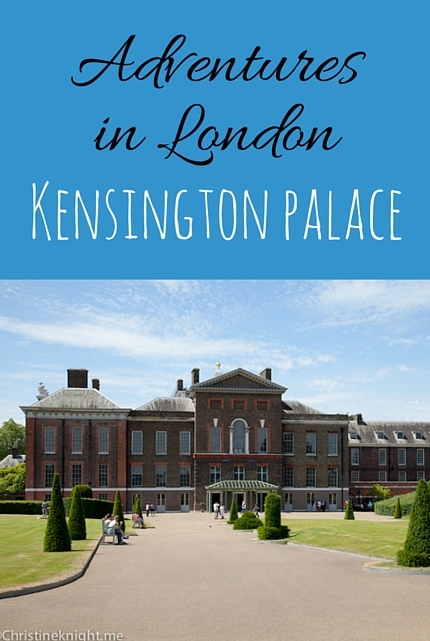 Kensington Palace has great programs for kids of all ages (even this for 0-4). 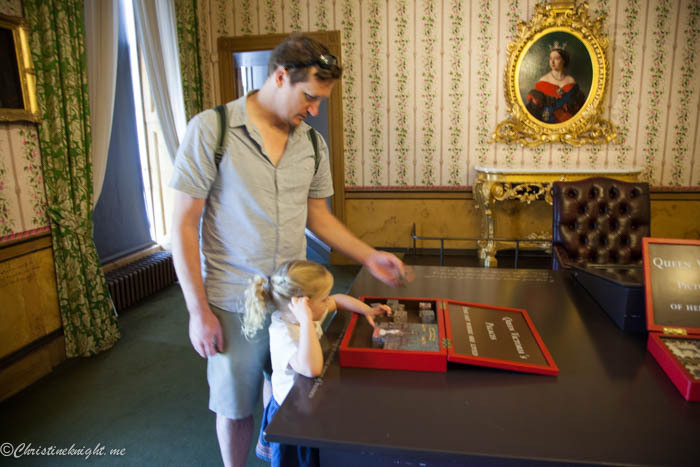 Older kids can pick up a family trail and explore the palace Palace. Baby-changing facilities are available and strollers can be easily taken around the palace as there is a lift to all floors. You can also check your stroller in the cloakroom. For lunch, we visited The Orangery, a little cafe attached to the palace. 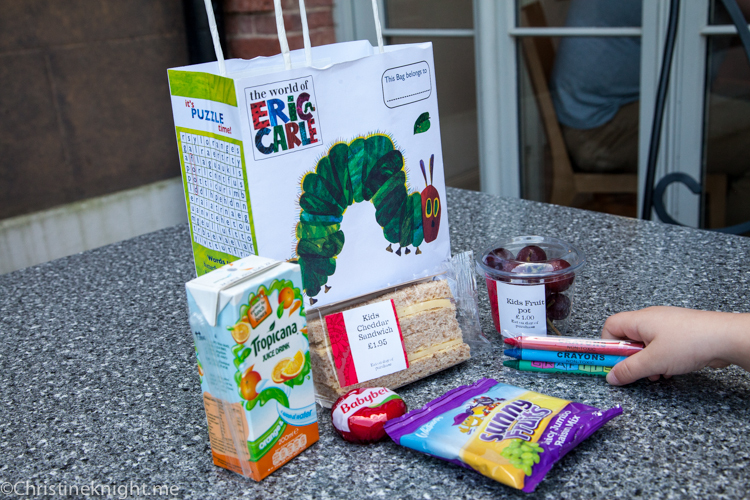 The cafe offers a fantastic kids’ meal that is probably the best we’ve seen anywhere. Prices: £16.50 adults (kids under 15 free). Online price £15.40. 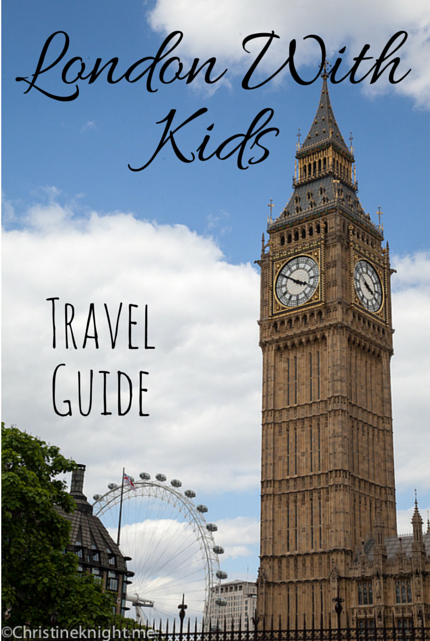 Looking for more cool things to do in London with kids? 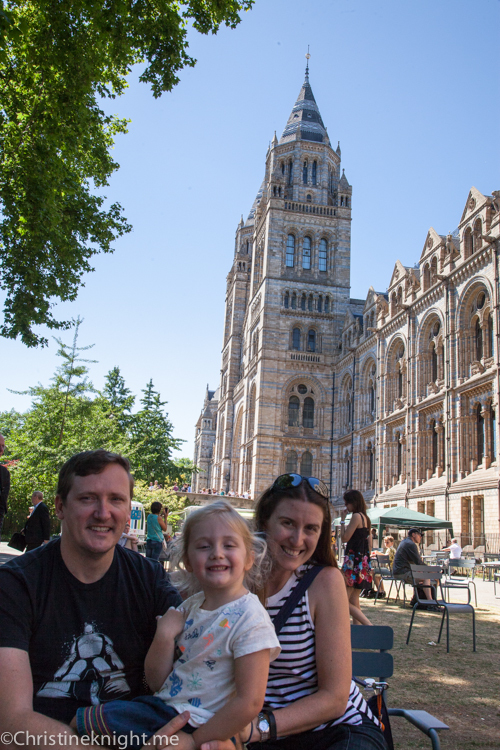 One of the best, if not the absolute best, Natural History museum we’ve been to, the Natural History Museum is a must-see in London with kids. 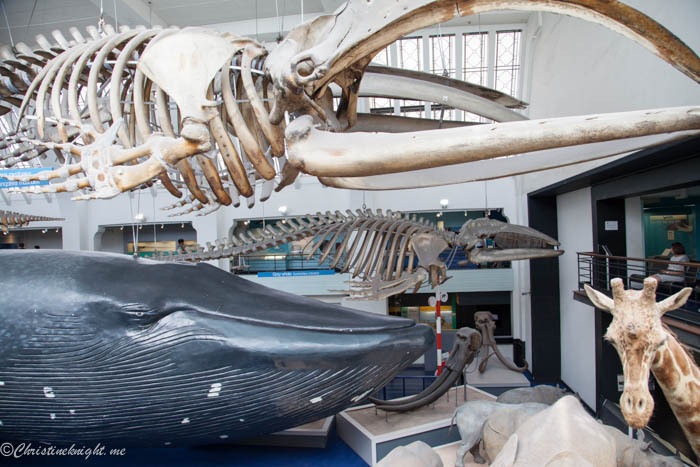 The museum is broken up into four zones, each section representing different types of animals and discoveries. Featuring dinosaurs and massive animals, this is the place to see the big guns. 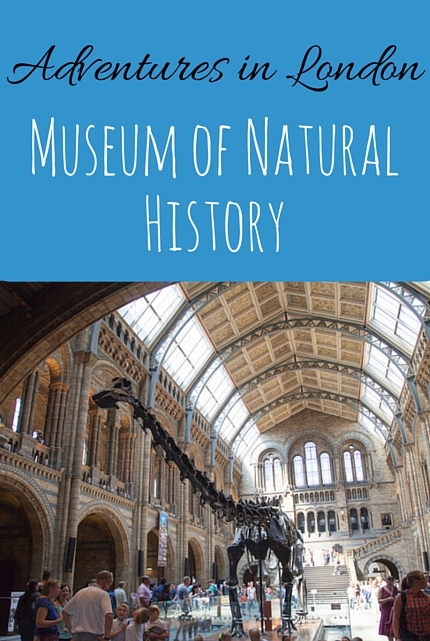 Exhibits include the first T. rex fossil ever found, an Iguanodon (one of the first species ever described as a dinosaur) the skull of a Triceratops and a Megalosaurus tooth. 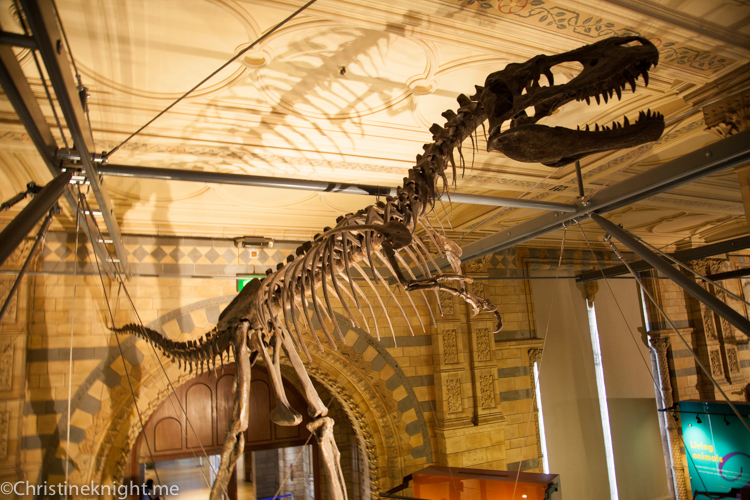 Note: The Dinosaurs gallery will be closed 4 January – 12 February 2016 to improve access to the T rex. It will reopen from 13-22 February. Learn more about Earth, and meet the museum’s new dinosaur, the most intact Stegosaurus fossil skeleton ever found. The evolution of Earth and the relationships between life and their environments come to life in these exhibits. A chance to see scientists at work in the Darwin Centre, and enjoy the serenity of the Wildlife Garden. We were short on time when we visited with several small children, so we only visited the Blue Zone. This one zone took quite a while to see, leaving no time (or energy from the kids) left to see anything else. The dinosaur exhibition was absolutely fantastic. 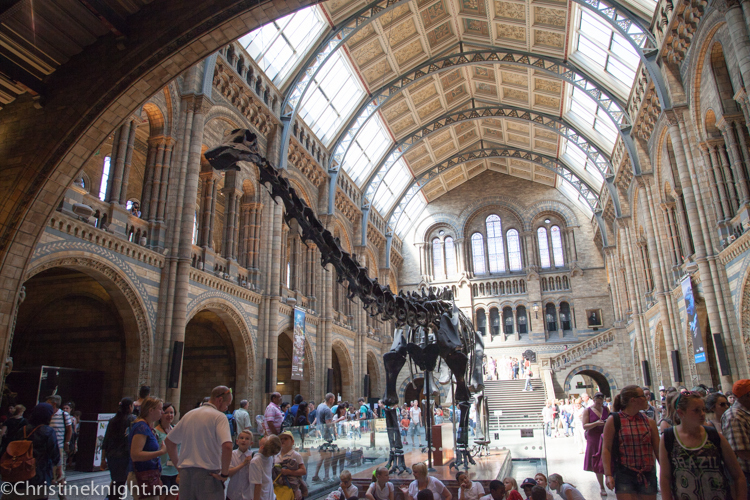 A combination of impressive skeletons combined with life-like models and even a robotic T-Rex made the exhibit a highlight of our time in London. I really enjoyed the layout of the exhibit too – following a winding path up and down levels takes the visitor on a cohesive journey through the time of the dinosaurs. We also appreciated the way in which the museum presented easy-to-digest information on large placards throughout exhibits. The information was all written in an interesting way so as to engage kids and give them a better understanding of the animals and their context. No dry, boring placards here. 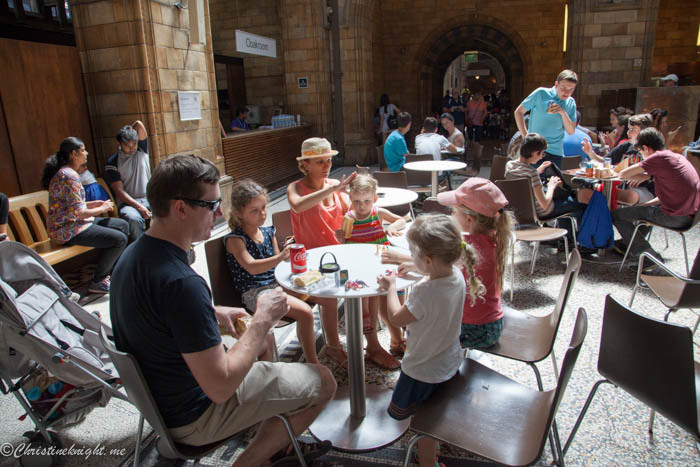 The cafeteria in the centre of the museum has plenty of space to take a breather, and reasonably-priced food options. We were very impressed with the history museum and wish we had been able to return to see the other exhibits. The museum is very stroller-friendly, with the exhibits on different floors accessible by elevators. Prices: Admission is free, however a donation is strongly encouraged. 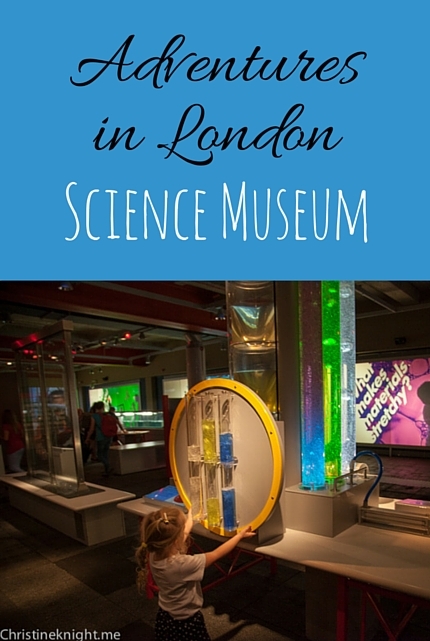 The Science Museum is a major attraction on Exhibition Road in South Kensington, London. Founded in 1857, it sees 3.3 million visitors annually through its doors. The museum is really big and you could absolutely spend an entire day there trying to see everything. With a small child, however, (Cheese was almost four when we visited) we targeted the areas we felt she would enjoy the most, so these are the experience’s I’m sharing in this post. 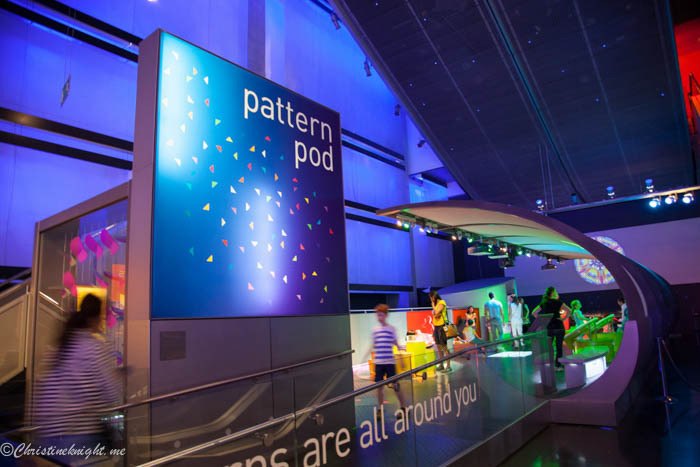 One of three areas designed specifically for children at the Science Museum, Pattern Pod is a multi-sensory area created for 3–7 year olds. The exhibits are fun and interactive, with a focus on patterns, and a mix of high tech with screens, and old fashioned dress ups. One of the biggest hits was animal outfits kids could put on to then create the animal’s footprints – get it right and they’re rewarded with animal noises. I was impressed with the water ripple “pond” that was a projection onto a screen that kids could touch and effect the waves without actually getting wet. While the Garden, on the lower floor of the museum, was billed as a place for 3-6 year olds, Cheese wasn’t really a fan, and we didn’t spend long here. Highlights included a tree house and water play area. We spent most of our time in the Launch Pod (aimed at ages 8 – 14). I thought it would be too older for her, but she really enjoyed the science experiments in this section, particularly anything with magnets, wheels or levers. We spent over two hours just in this one area of the museum while Cheese enjoyed getting her hands on over 50 interactive exhibits. Prices: Admission is free, but a donation is strongly suggested. 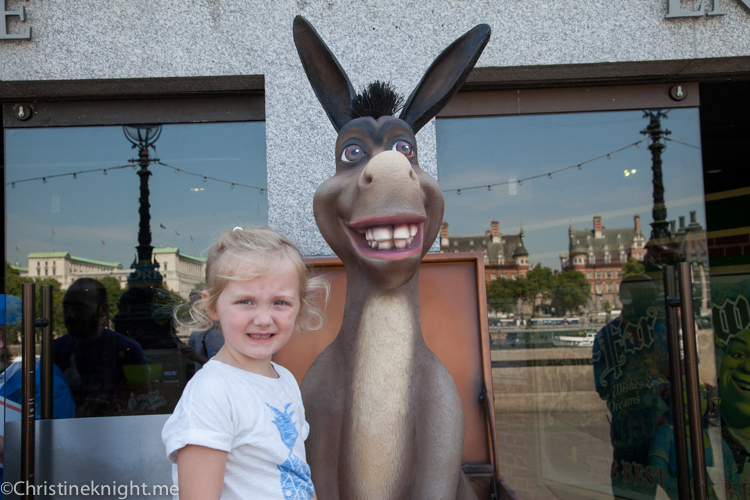 Looking for quirky things to do in London with kids? 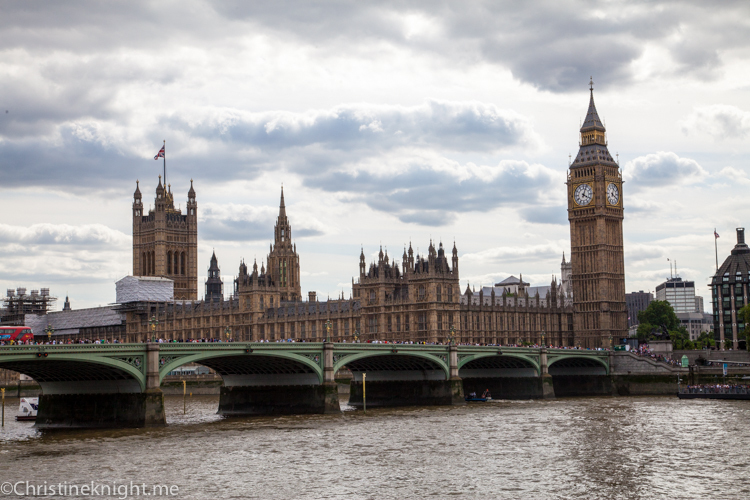 With our hotel in London across the road from Hyde Park, we spent a lot of time exploring during our stay. 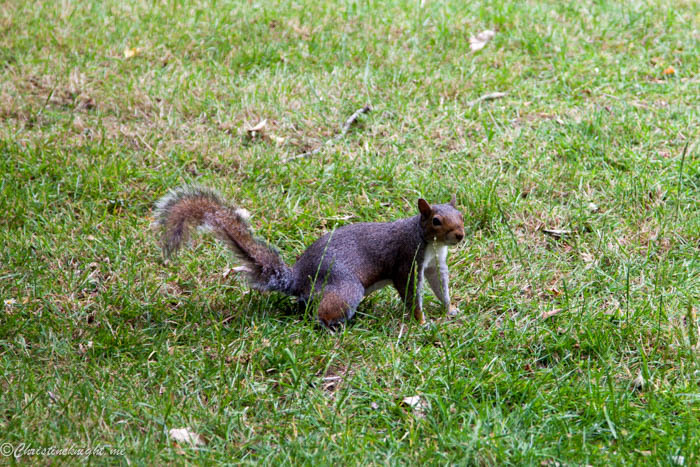 Hyde Park and Kensington Gardens are two of London’s Royal Parks, and are often thought to be one large park since they technically join in the middle. 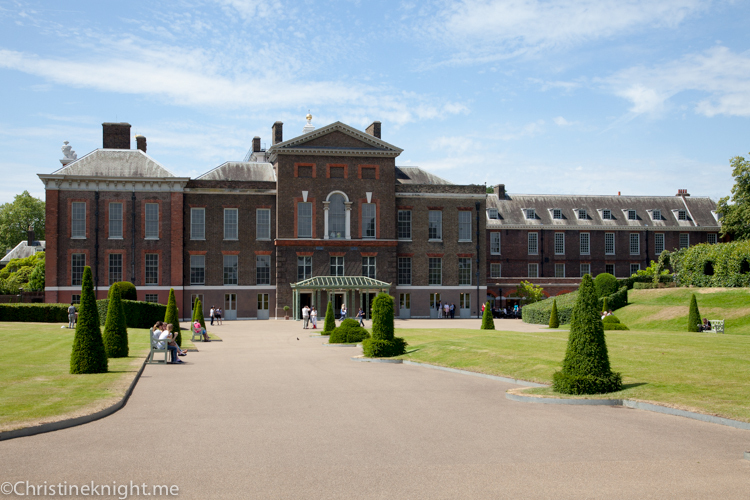 They are, however, separate parks, and have been since 1728, when Queen Caroline made a division between the two. The parks are separated by the Serpentine and and Long Water lakes. Together, the parks encompass 625 acres, which makes the combined parks a bit smaller than Central Park with 840 acres. 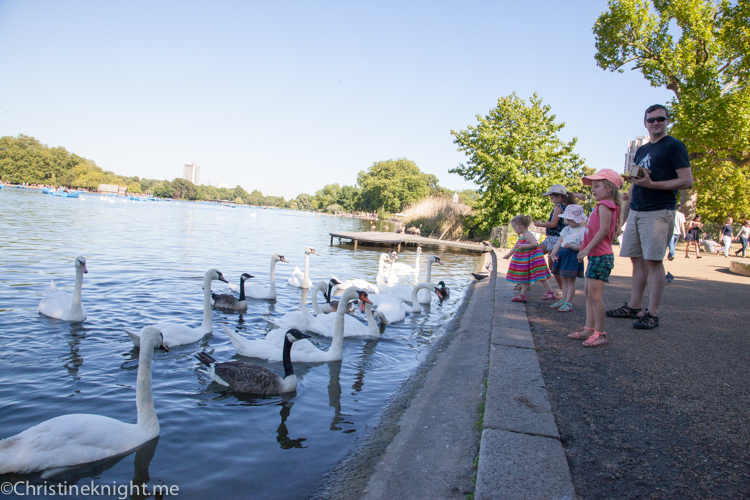 Hyde Park covers 350 acres and is home to famous landmarks such as the Serpentine Lake, Speakers’ Corner and the Diana, Princess of Wales Memorial Fountain. 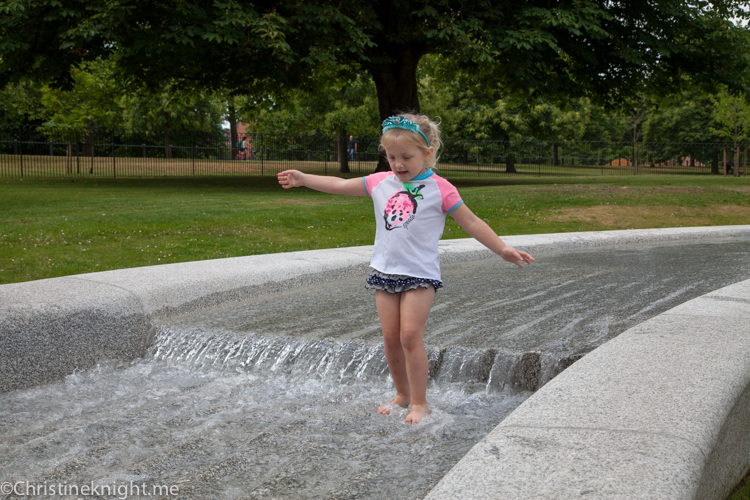 We spent a lot of time at the Memorial Fountain as our trip was in summer and the fountain was a fantastic place to cool down on a hot day. 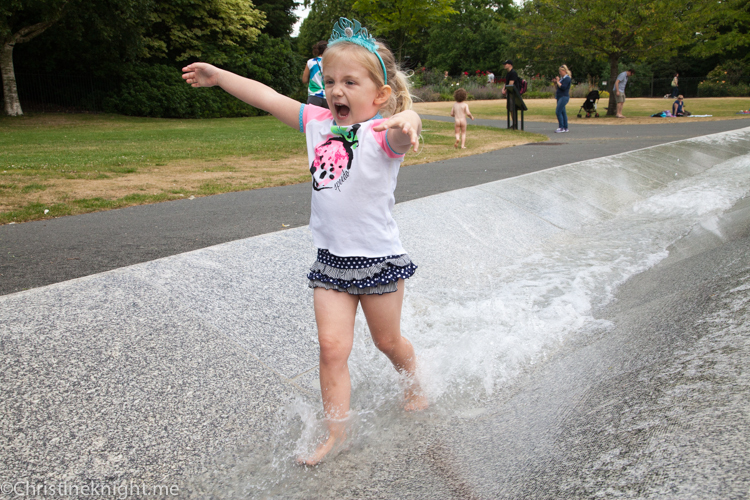 the Diana, Princess of Wales Memorial Fountain was opened by Her Majesty The Queen on 6th July 2004. The fountain was built using 545 pieces of Cornish granite – each shaped by computer-controlled machinery. When walking over the smooth stones of the fountain, it’s obvious that they have been carved by a machine rather than by hand, as they are absolutely perfectly cut in a way that no human hand could achieve. The pieces, once cut by machine, were assembled by hand to complete the fountain. The water bubbles, swirls and cascades in a circular shape up, from a high point to a calm pool at the bottom. The design is supposed to reflect Diana’s life. 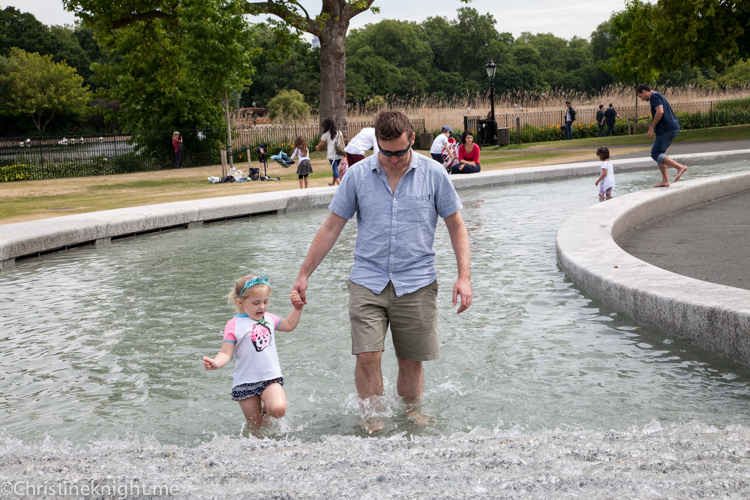 On any given warm day, Londoners flock to the fountain. Businessmen roll up their pants and paddle their feet, while children strip to bathing suits and run through the water. While there are no facilities at the memorial, bathrooms are available at the nearby Lido Cafe, as well as swans who love to be fed bits of bread. 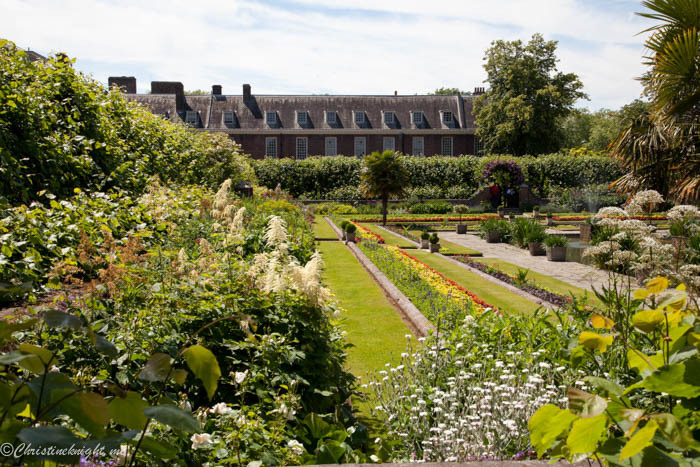 Kensington Gardens were once the private gardens of Kensington Palace. They are now one of the Royal Parks of London, lying immediately to the west of Hyde Park. 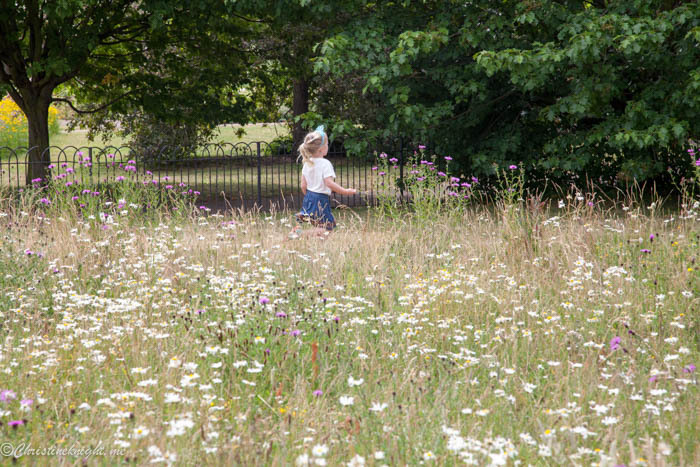 Within the park lie many famous landmarks including Kensington Palace, the Italian Gardens, Albert Memorial, Peter Pan Statue, the Serpentine Galleries and the Diana, Princess of Wales Memorial Playground and are all located within its 265 acres. 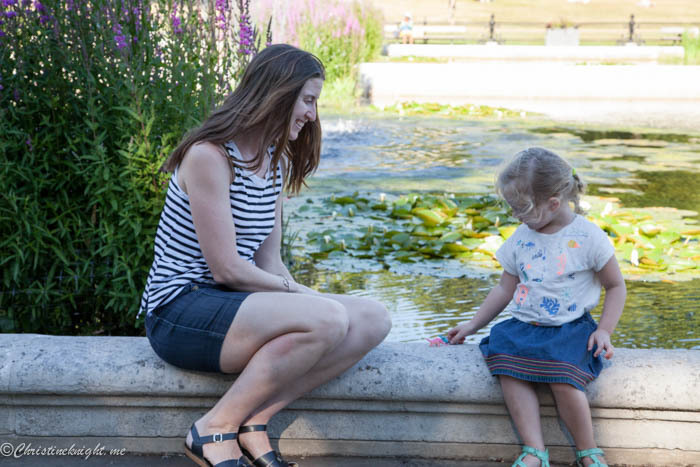 A beautiful, peaceful place we discovered was the Italian Gardens, an 150-year-old ornamental water garden located on the north side of Kensington Gardens. 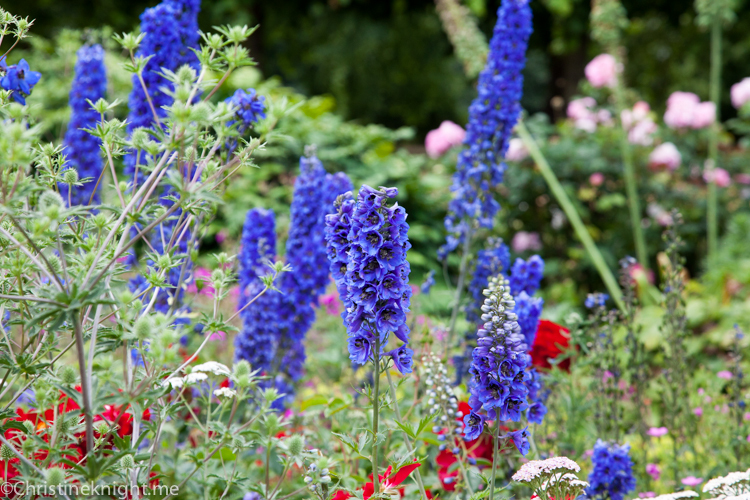 The gardens are believed to have been a gift from Prince Albert to his beloved Queen Victoria. I found the gardens to be a much-needed oasis of calm after a long busy day in London. The exquisite flowers and water feature felt like a piece of old Europe. 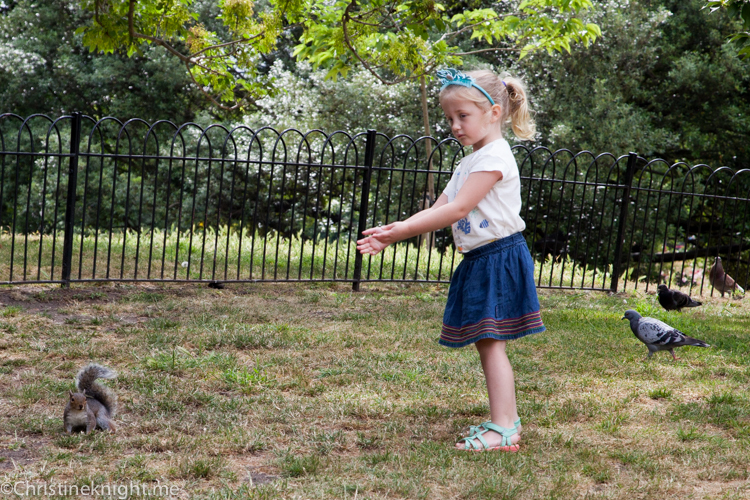 Cheese loved the popular Diana, Princess of Wales Memorial Playground, a wonderland for children that opened to the public in 2000 next to the late princess’ Kensington Palace home. 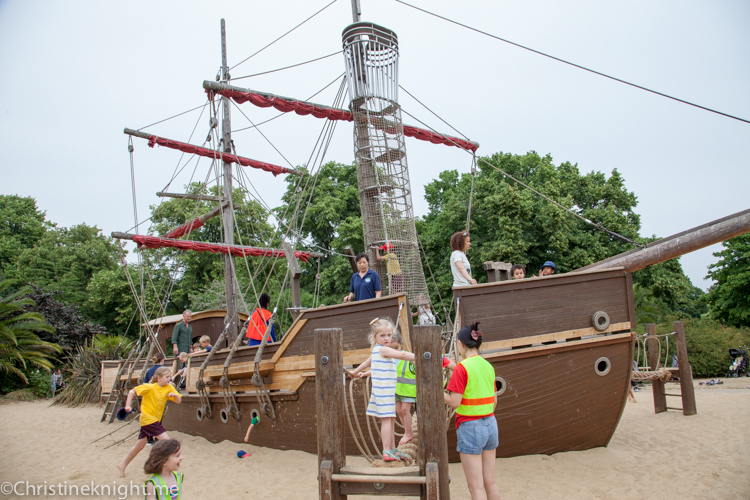 The centerpiece of the playground is a huge wooden pirate ship, with swings, sand pits, wooden cubby houses and more amazing play structures surrounding it. 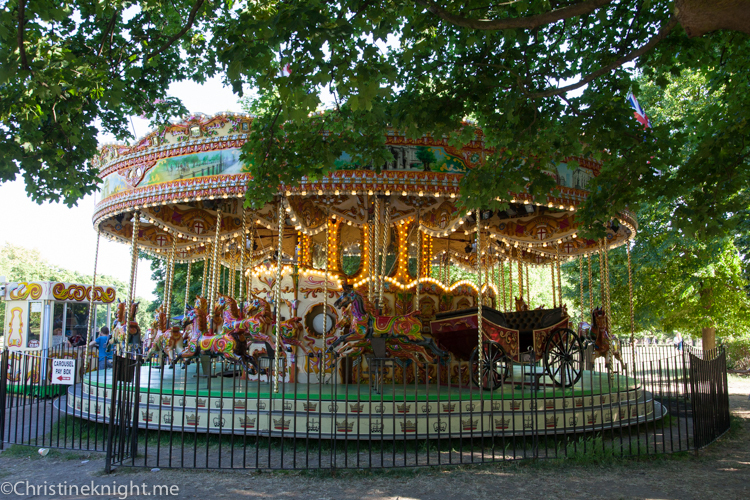 Outside the playground is a beautiful old-fashioned carousel, another drawcard for kids in the park. If you love British literature you might remember that the famous writer J.M. Barrie lived close to Kensington Gardens (there is a placard on the building he used to live in if you look hard enough for it!). 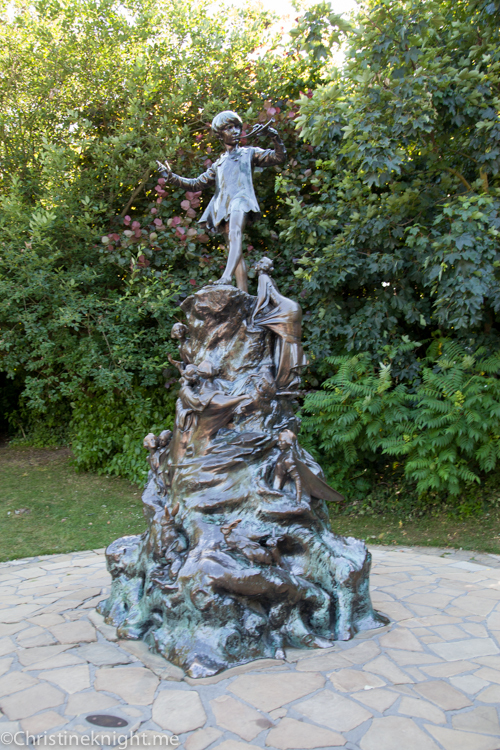 Barrie published his first Peter Pan story in 1902, using Kensington Gardens for inspiration, so it’s only fit that the park is home to a statue he commissioned of the boy who never grew up. It was erected in 1912 on the exact spot Barrie imagined Peter Pan to land in his writing. In his Peter Pan tale, The Little White Bird, Peter flies out of his nursery and lands beside the Long Water – the spot where the statue now stands and delights visitors from all over the world. 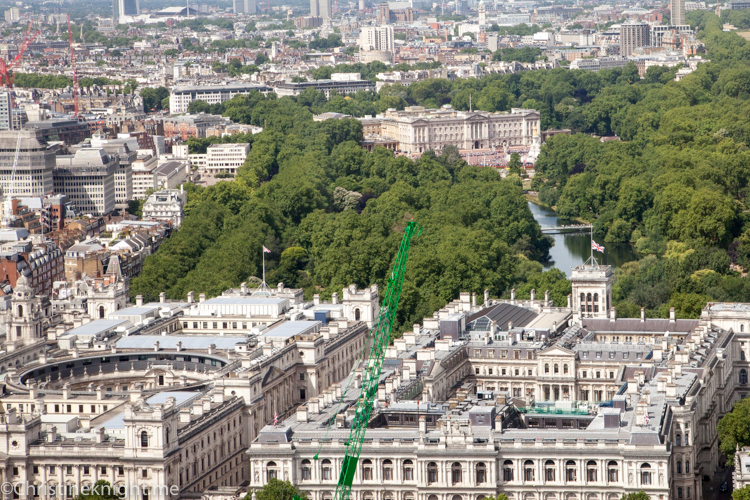 For more information on Hyde Park and Kensington Gardens visit http://www.royalparks.org.uk. 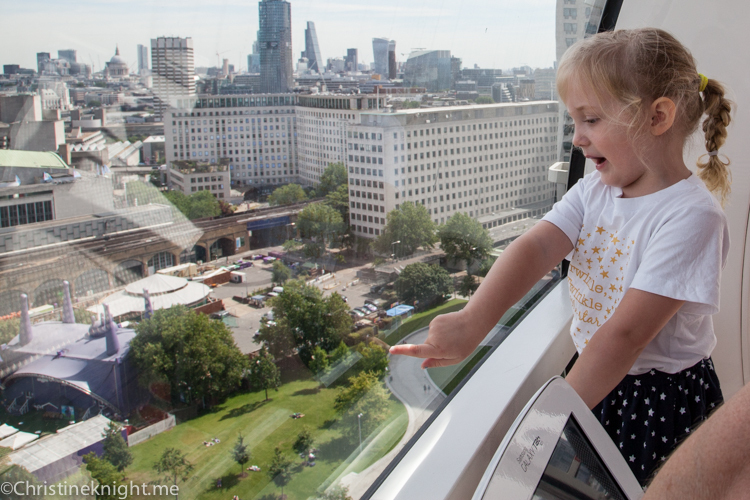 This large ferris wheel is a thrilling way to see London from the air. 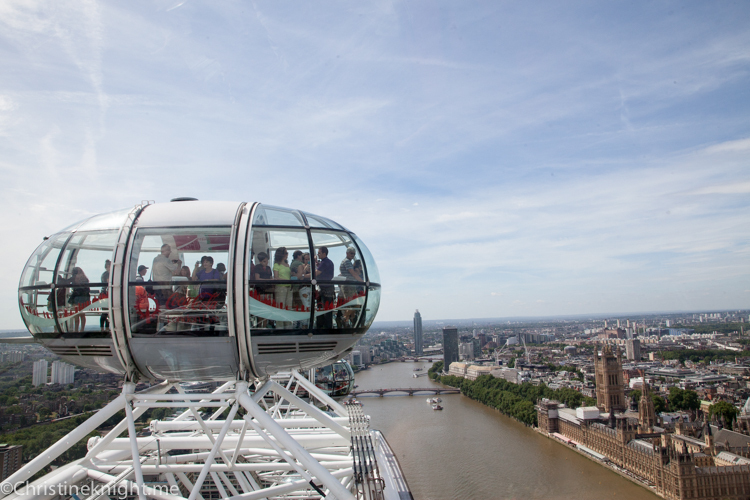 Pretty much every visitor to London wants to ride on the Eye, so book your tickets online to avoid the queues. Suitable for all ages, Cheese got a bit wiggly at times (the Eye moves very slowly around the wheel in one full circuit). Thankfully, she was happily entertained by the iPads installed inside the Eye that are there to educate visitors about what they’re seeing out of the glass (but are actually mostly used by bored preschoolers). The experience lasts approximately 30 minutes. A new 4D Experience is included with tickets. Book at least 24 hours in advance and save up to 15%. 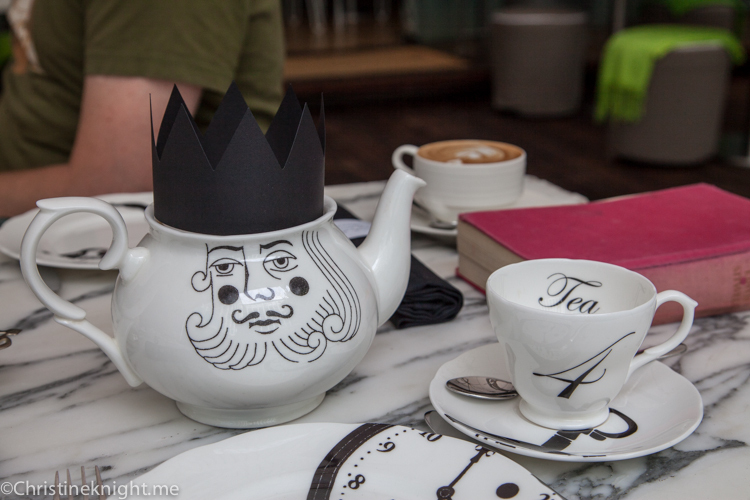 On our recent trip to London we dropped by the Sanderson Hotel for a Mad Hatter’s High Tea. 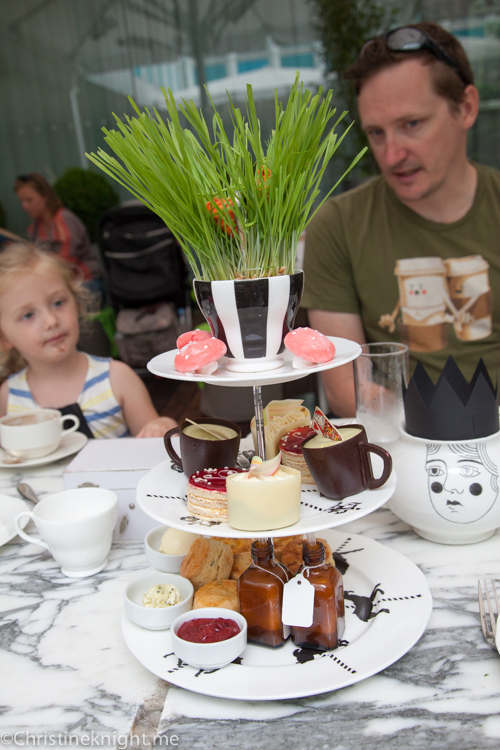 The tea coincides with the 150th anniversary of Alice in Wonderland (my favorite book as a child), and is the perfect way to introduce kids to both a high tea AND this classic book. The hotel does offer a children’s high tea, but Cheese is such a fussy eater that she is happy to pick at bits of ours rather than needing an entire tea for herself yet. 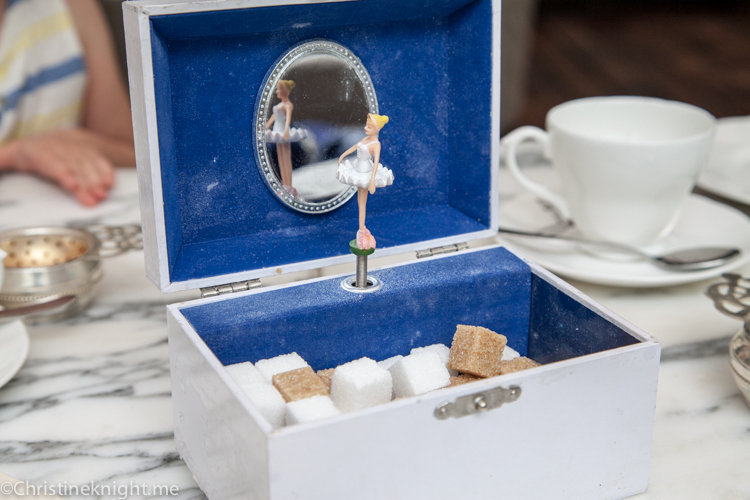 She was extremely happy playing with the music box that was home to the sugar cubes and books that opened up to reveal the menus. Delightful touches. 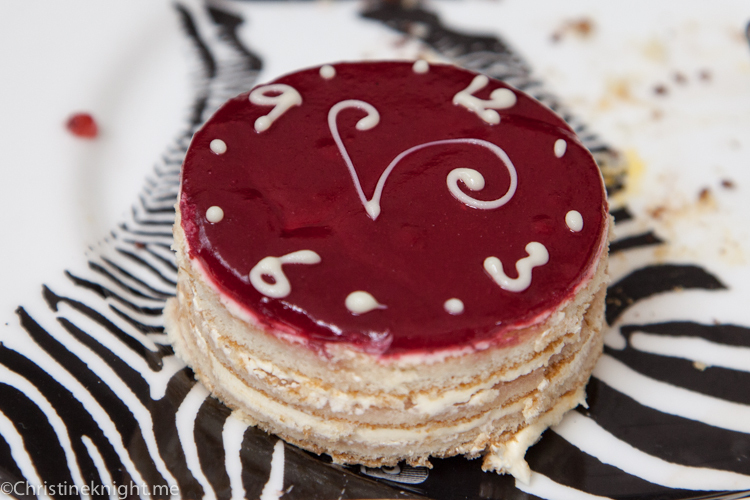 The menu we enjoyed has changed since our visit, but I’ve included it below so you can get an idea of what to expect. 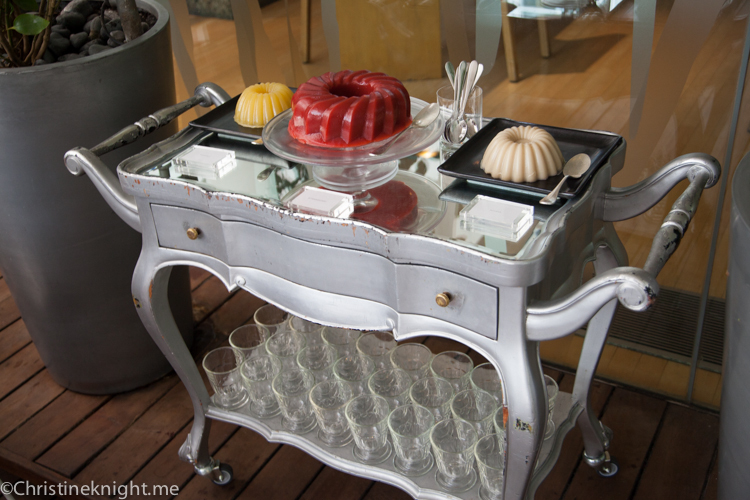 Jelly wonderland – help your self unlimited jelly station. 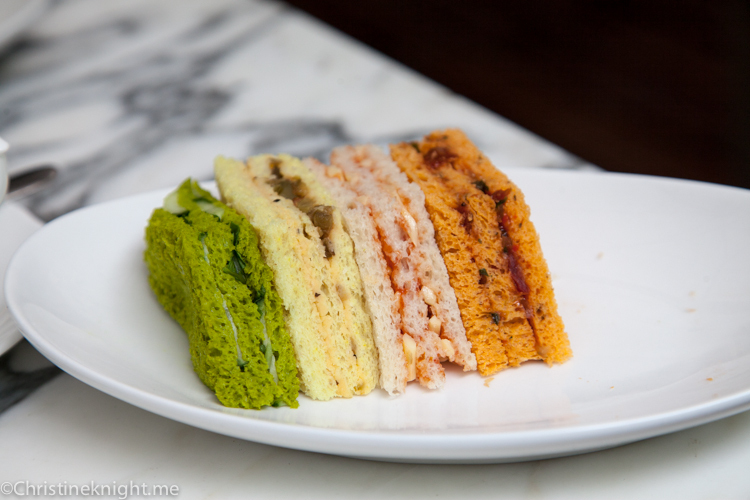 The sandwiches and teas are unlimited. 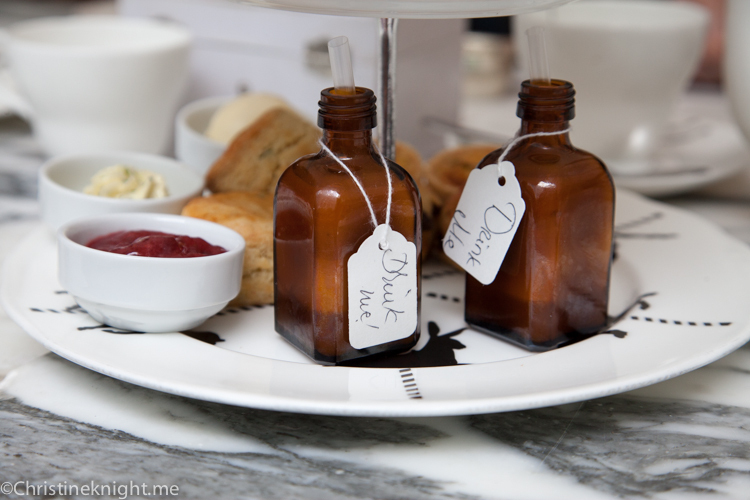 The special teas are actually brought around for you to smell, and diners are encouraged to try multiple kinds. I always devour the sandwiches, so it was also refreshing to be encouraged to order more when they also ran out. Vegetarian/vegan options are available. If you don’t eat gelatin, there is a non-gelatin option available too, both with the tea platter and the jelly wonderland station. We really enjoyed this tea. The scones were small and hard – the low point of the tea. The high points were the “drink me” potion, which was kind of like a fruit smoothie, the Victoria sponge, the mushroom marshmallows for Cheese and the fresh sandwiches. 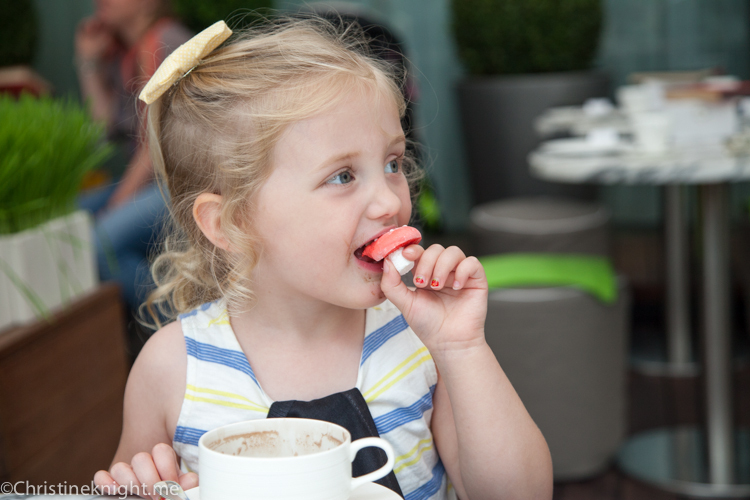 If you’re in London with kids and want to take them to a special foodie outing (or if you’re there without kids and want a quiet afternoon tea! 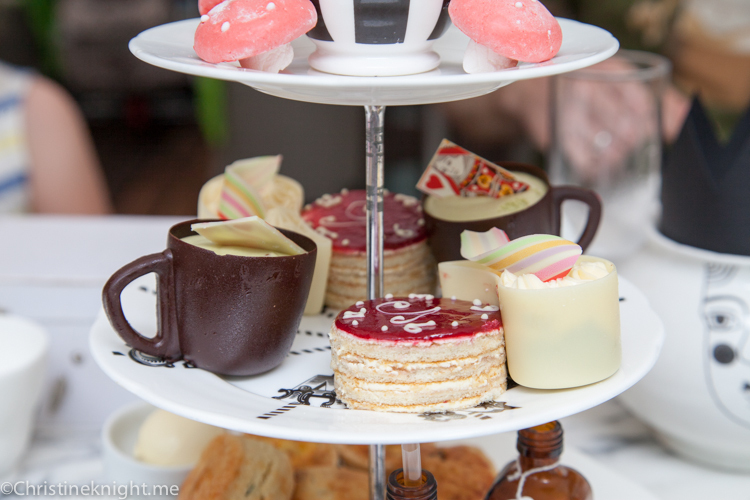 ), book ahead and try this whimsical Mad Hatter’s Afternoon Tea. Prices: Between £48 and £65 per person excluding service, £35 per child for children 4-11 years old. 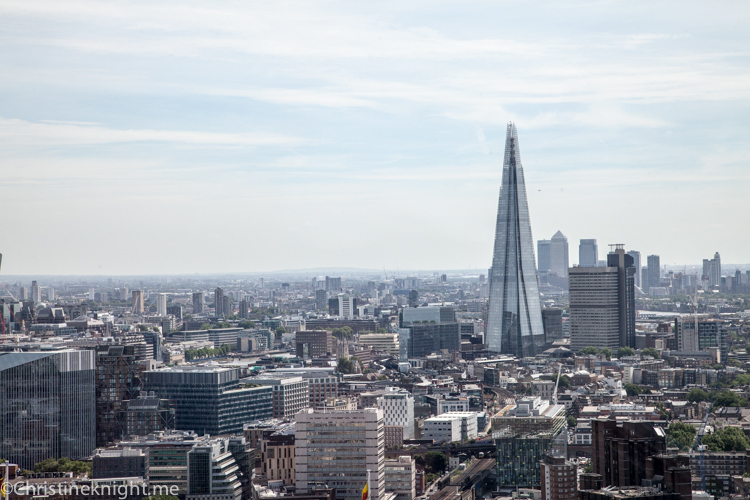 London is a city I’ve visited several times over the years – as a nine-year-old child myself, as a young adult on a shoestring, then training for my job at Google, and finally, on this visit, with my own child. 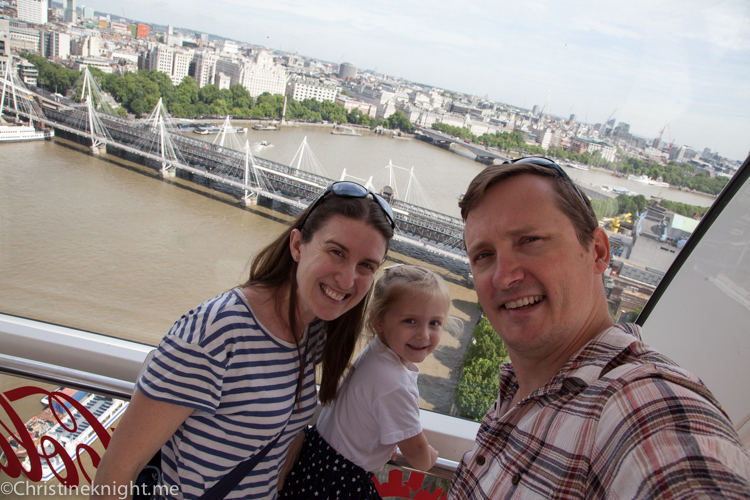 We chose London deliberately for this trip as we knew there would be lots of things to do in London with children, as is our current stage in life! 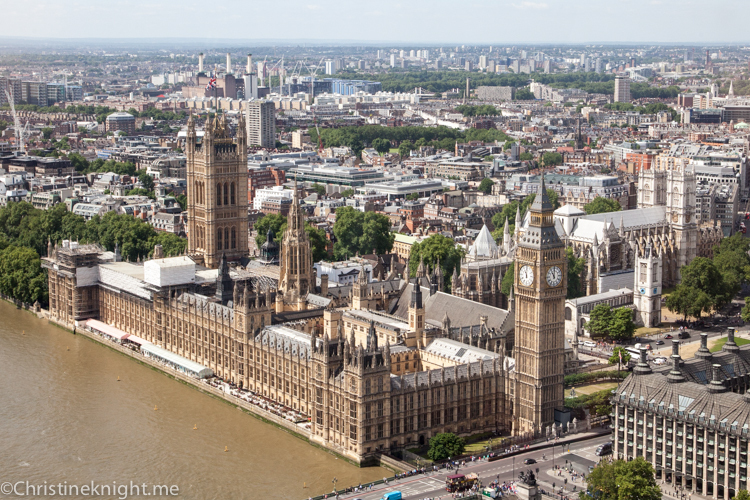 London is easy in a lot of ways – the language, transport, culture, layout, all make the city very easy to navigate with kids (particularly young ones). We stayed at the Grosvenor House Hotel, right on the edge of Hyde Park. For us, the location was perfect as we spent a lot of time in the park. The hotel was also walking distance to many places and only a short tube ride away from everything. A full and delicious breakfast was included, but not wifi. 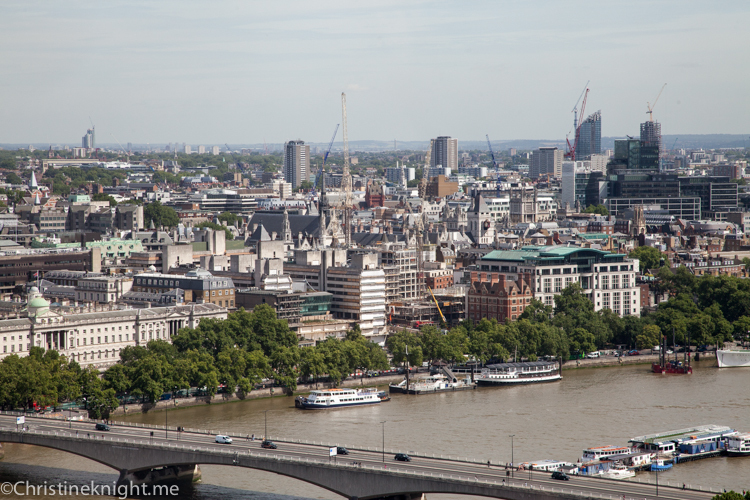 Get more tips on where to stay in London here. 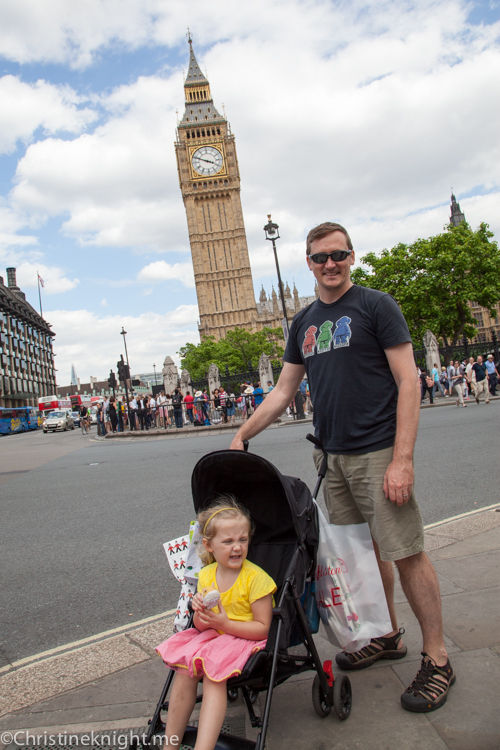 We gave our stroller a good work out and also bought Oyster cards to use the tube. The Oyster card is the most economical way to get around London. When you buy a card you place a deposit down that is returned when you finish using the card. The tube is fast and easy to use, but there aren’t a lot of elevators. 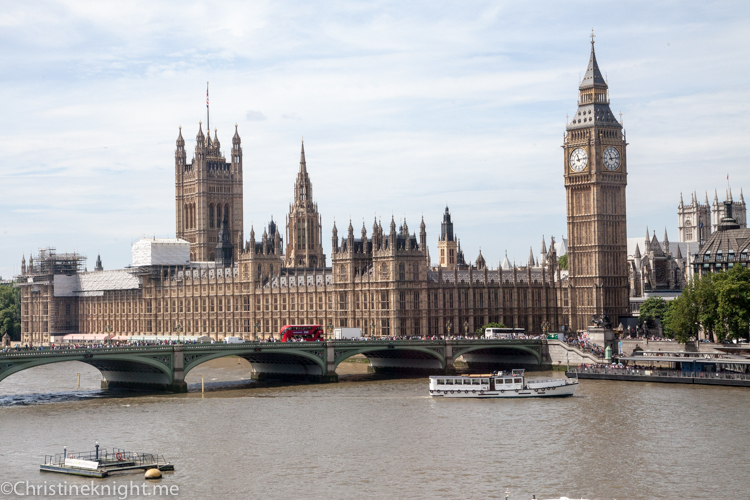 More tips for getting around London with a baby or toddler here. We ate at the chain Pret a Manger every single day for at least one meal. The food is fresh, healthy and there is a large variety to choose from that even picky kids will eat. With hot and cold sandwiches, salads and soup, we could see why so many workers grabbed food from their nearest Pret on the way home. The food was also cheap for London, so it meant we didn’t spend a fortune on food. This is a fantastic place to visit with kids. Apart from the favourite dinosaurs, the layout is incredibly kid-friendly. Lots of hands-on, interactive features and interesting information that can be absorbed in bite-sized chunks. Perfect for when you’ve got a speedy child like mine and can only grab glimpses of everything, or if you have an older kid who can read. Cheese loved the dinosaur display in particular, with the interactive T-Rex. General admission is free (but they do ask for a donation when you enter). It’s very easy to get around with a stroller. 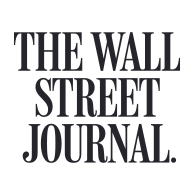 Read more about our experience here. My particular favourite part was the Queen Victoria rooms (she grew in in the palace and the lived in the wing that houses her exhibit). Cheese loved the royal dresses on display and the gift shop, which stocked very expensive princess dresses. 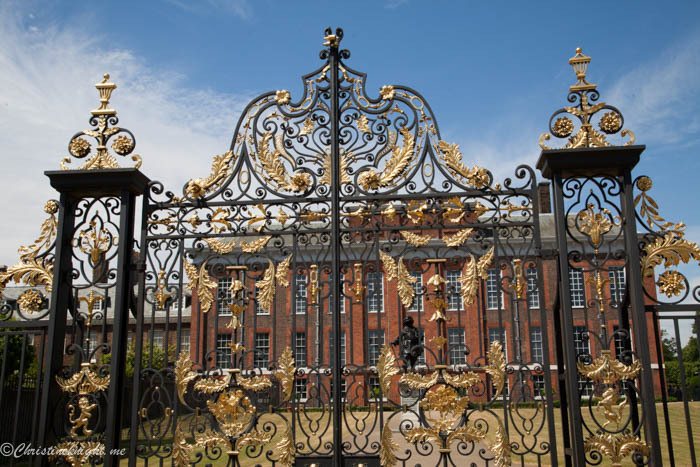 Kensington Palace has great programs for kids of all ages (even this for 0-4), and had the best kids lunch of anywhere we visited in London (see above). Read more about our experience here. We did not go inside Buckingham Palace, but we did enjoy peering into the gates at the guards and imagining what the Queen was doing today. Cheese is at an age where she loves princesses so anything that looked remotely like a castle was popular on our trip. 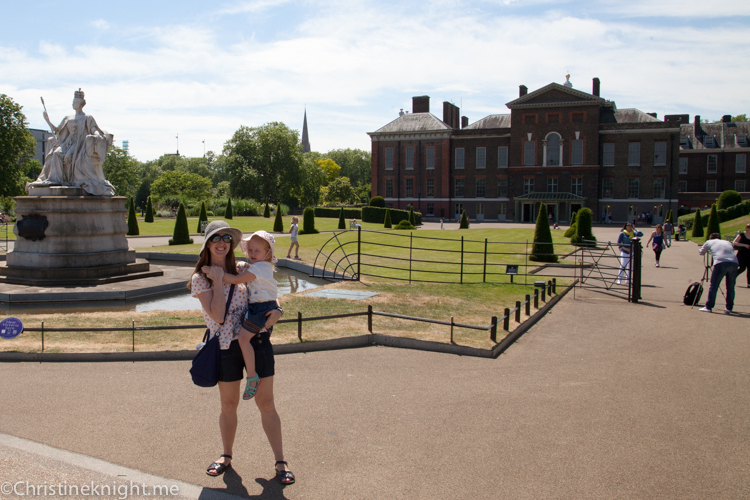 Near the palace is a decent-sized playground – it’s across from the Guard’s Museum in the bordering St James Park, and it was an even bigger hit with our preschooler than the palace. This Dreamworks attraction opened when we were in London. 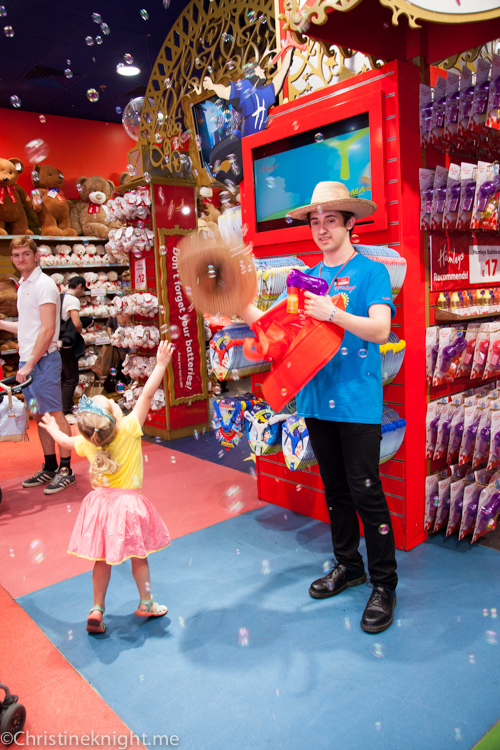 It’s an extremely slick interactive live performance where visitors walk and ride through a character-led adventure. The highlights for us were meeting Shrek and the magic 3D bus ride. 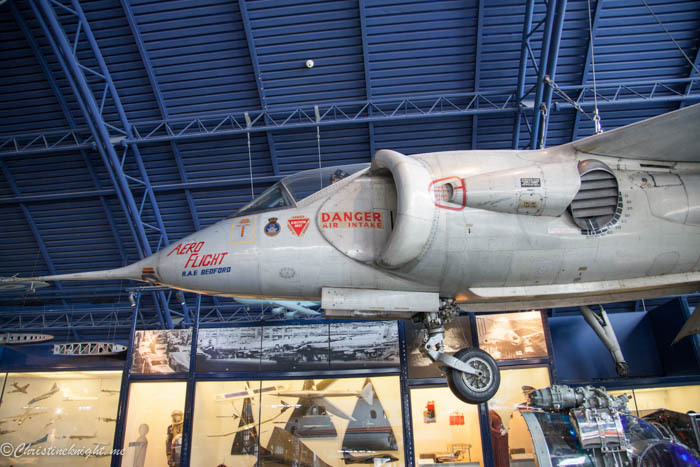 While the experience is billed as suitable for all ages, it was a bit scary in places for my almost-four-year-old, so I’d suggest it would be better for kids aged five and over. 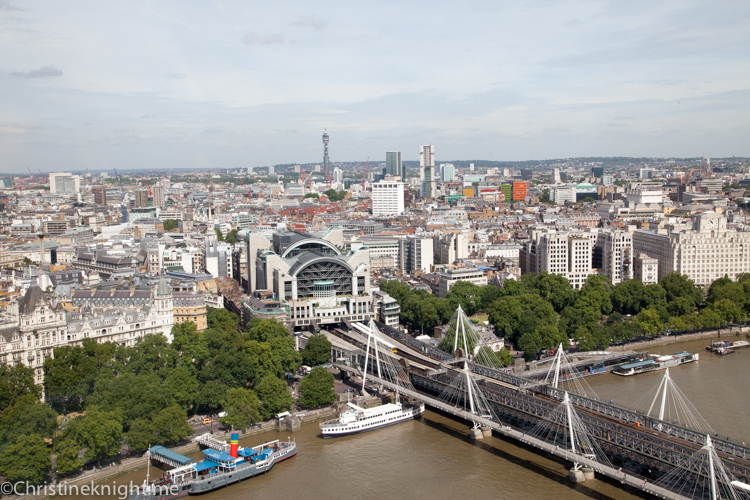 We chose our hotel based on its location – right on Hyde Park. This 350 hectare park is full of fun for kids, from the squirrels and leafy areas to run and hide, to attractions like playgrounds and the Peter Pan statue. Read more about our experience here. 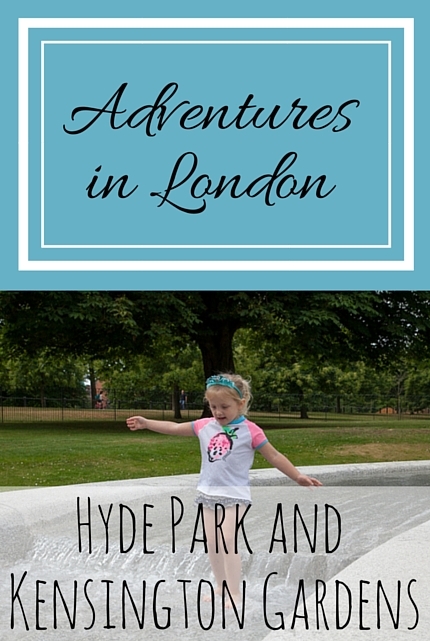 In my opinion, Hyde Park should be top of list for things to do in London with children. This beautiful playground in Kensington Gardens opened in 2000 as a tribute to the late Princess Diana. The pirate ship is the centerpiece, but there are also teepees, play sculptures and an area for kids who are less abled to enjoy. The playground is gated with a security guard, there are clean bathrooms and also a cafe attached. Situated in Hyde Park, this beautiful memorial to Princess Diana was opened in 2004. 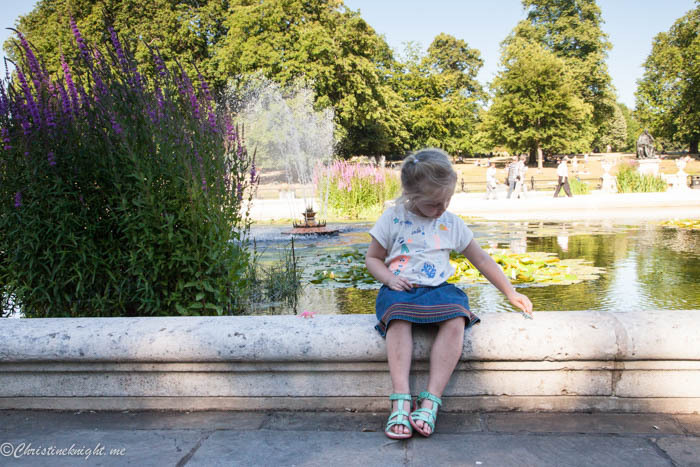 On a hot day, you’ll find half of London dipping their feet in to cool off. This fountain is made to be played in, so bring swimmers and get wet. Another gorgeous park in London. 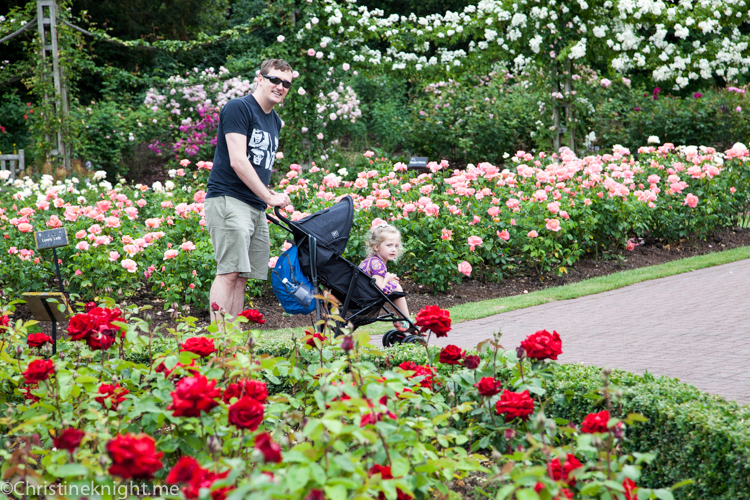 This one is home to Queen Mary’s Garden, which features more than 12,000 roses of 140 varieties. It’s also where you’ll find the London Zoo, a playground and a river through the middle with plenty of ducks. How can you visit London without taking in a world class show? 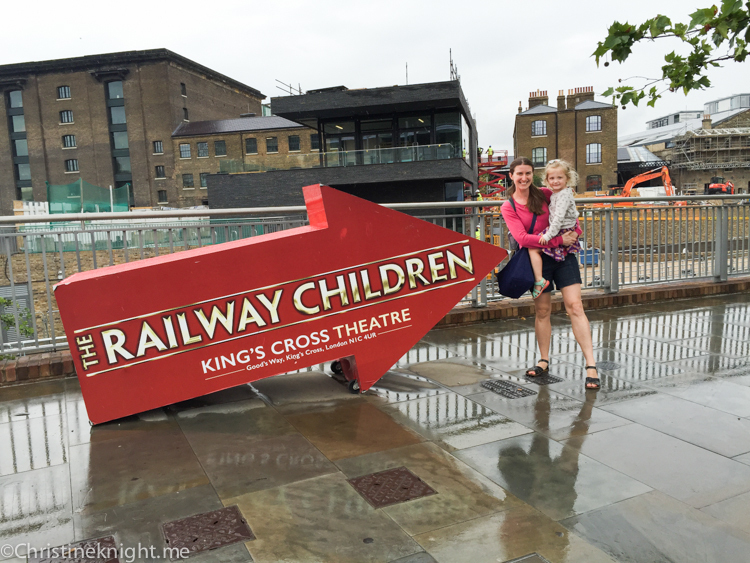 We highly enjoyed The Railway Children at King’s Cross Station, which is based on the famous book by E Nesbit. The show is quite long, so I’d recommend if for children a little older than Cheese – maybe five and up. We absolutely loved the show – the staging was nothing short of remarkable, particularly the live steam engine that arrives through the middle of the stage. 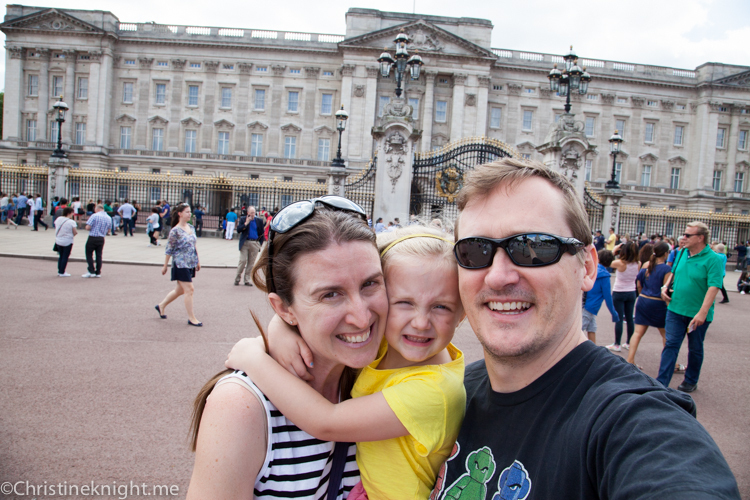 In my opinion, seeing a show should be right at the top of the list for things to do in London with children. Suitable for all ages, Cheese got a bit wiggly at times (the Eye moves very slowly around the wheel in one full circuit). Thankfully, she was happily entertained by the iPads installed inside the Eye that are there to educate visitors about what they’re seeing out of the glass (but are actually mostly used by bored preschoolers). Read more about our experience here. A giant toy store is either an awesome idea or a really, really bad one, depending on your credit card balance. We enjoyed the live displays of innovative toys, such as drones, and the LEGO area, where we visited the Queen and her corgi, both made entirely out of LEGOs. 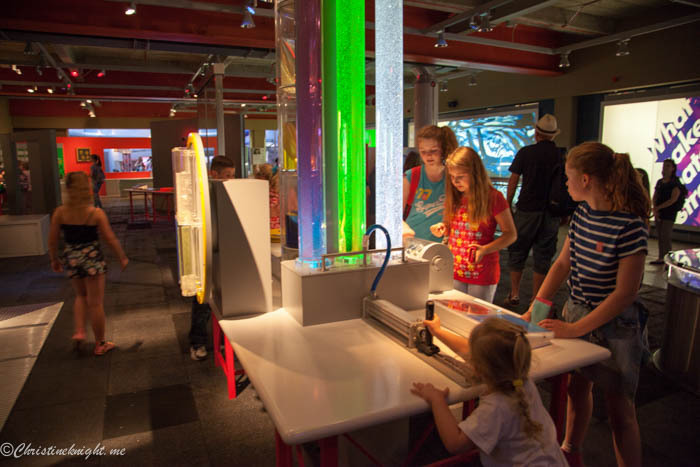 A multi-story museum dedicated to science and technology, it’s a must for any STEM-loving family. 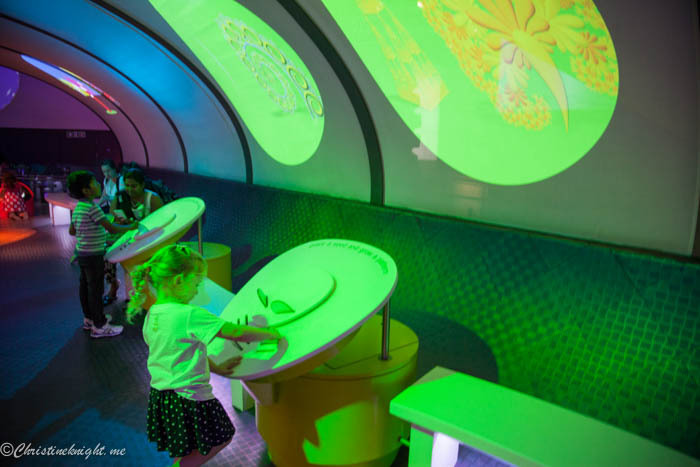 While there is a dedicated area on the lower level for kids aged 3-7 called “The garden” with water play and a playhouse, Cheese enjoyed the Pattern Pod (for ages 5-8), featuring patterns occurring in the world the Launch Pod (ages 8 – 14) far more. The Launch Pod in particular was fantastic, and while we thought she’d be way too young to enjoy it, we spent over two hours just in this one area of the museum while Cheese enjoyed getting her hands on over 50 interactive exhibits. Free entry, but donation advised. Read more about our experience here. So this was really for me as I’m addicted to high teas, but Cheese really enjoyed the experience too! 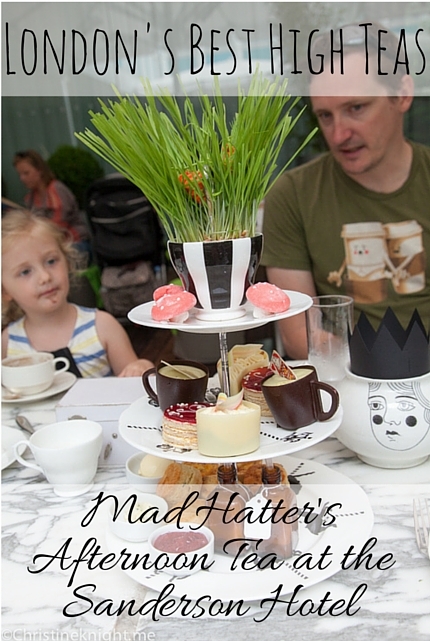 The Mad Hatter Afternoon Tea at the Sanderson Hotel is a whimsical dining experience filled with not just delicious food, but fun details like a menu inside a book, sugar cubes in a jewellery box, and an unlimited JELLY STATION! 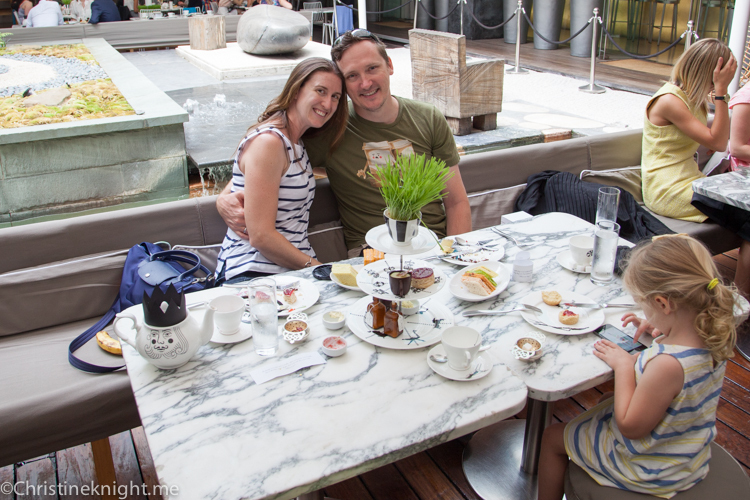 They do have a children’s high tea for £30 but Cheese was happy to pick off our high tea (from £38pp, including unlimited tea and sandwiches). Read more about our experience here. 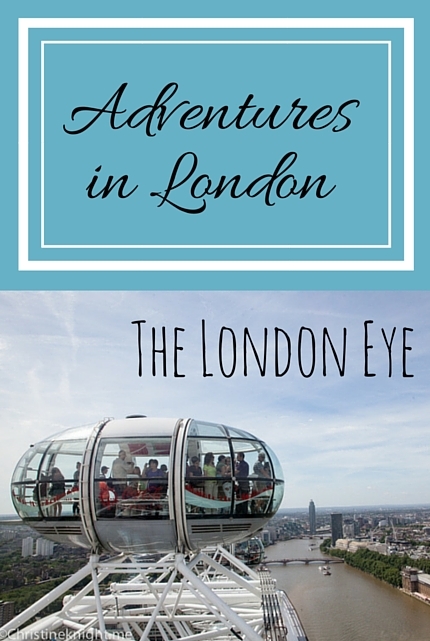 Looking for more things to do in London with kids? 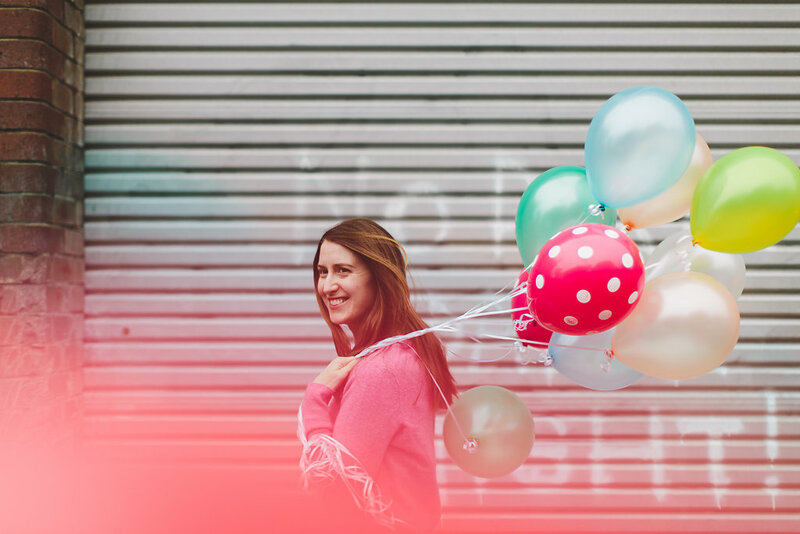 Hop on over here for 20 great ideas! 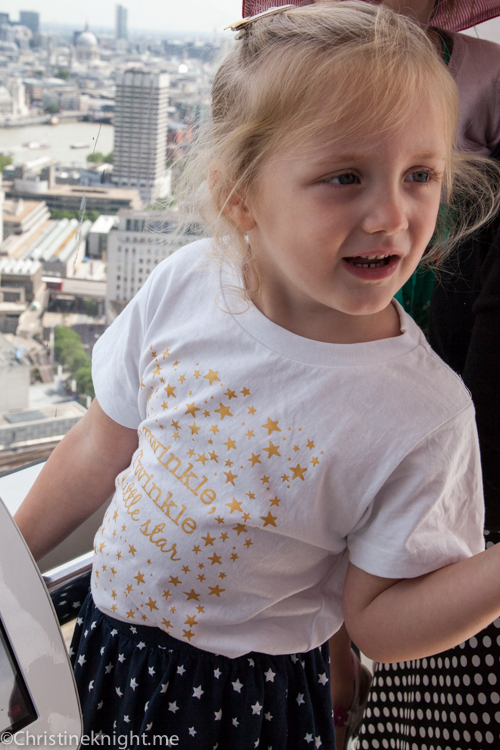 Get tips for taking toddlers and kids to museums in London here.